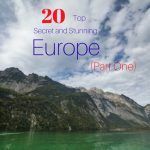 Traditionally folks travel to Europe in the summertime, but visiting some of the hot spots in July or August means lines, crowds, and lots of waiting. 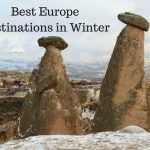 I’ve found that traveling to Europe during spring, fall, or winter really lets you get a less frustrating experience. Spring, in my opinion, is the best time to visit Europe, and it means bright green leaves on the trees, soft breezes, cheaper rates for hotels, and fewer tourists to get in the way of your great photo! It’s one of my favorite times of year to go south as the beaches are empty, but the temperatures are warm enough for a great walk and getting some sun on my face. 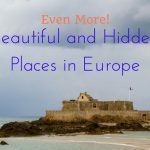 Some of my favorite spring vacations in Europe have been to the Balearic Islands, the Loire Valley, Paris (of course), Holland to see the flowers, England, and even enjoy German Maypole celebrations not far from my house. Meteora, from the Greek word meteoros means “suspended in air”, and when you visit you’ll see just how fitting that names is from your vantage point upon its cliffs Meteora offers one of the most truly unique sights we have ever seen, illustrating an astonishing symbiosis between man and nature. Like most special places, the secret about this fantastic landscape is out, and millions of people flock to Meteora annually these days. So how do you avoid being lost in a bustle of tourism, and how do you ensure you get to have the best views in relative peace? By visiting in the off-season months, such as in early spring before the bustle and hustle of summer takes over this gorgeous destination. 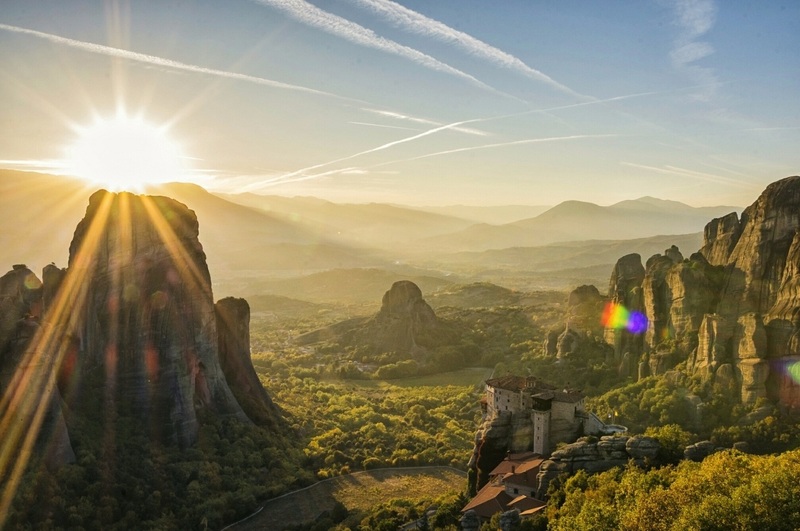 Meteora can be enjoyed pretty much all year round, but spring offers cooler weather, foggy ethereal views, and much less people jostling you for a better view. That’s a win in our book. Faroe Islands in spring, you will be alone. Spring in the Faroe Islands is a perfect time to venture there! 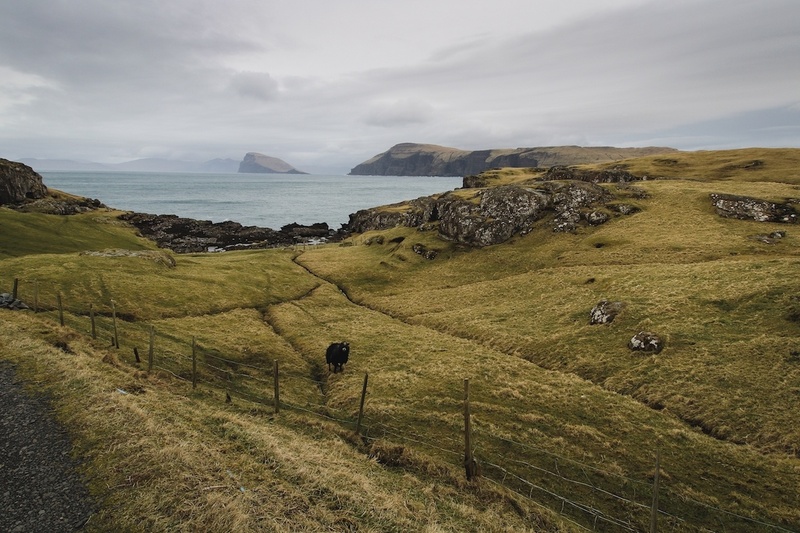 Most everyone travels to the Faroes in summer to see the puffins and experience the best weather possible, but not one to follow a conventional path, I decided to go in spring to avoid crowds and see the islands in a moodier state with more personality. It worked! The weather was pretty calm and mild during our stay (until the last day, that is!) and the terrain was a burnt yellow and orange hue. We ran into such few tourists on our trip that I could count them on one hand. Since it wasn’t high season, prices were a bit lower and we had our choice of where to stay without any hassle. During this season, flowers are blooming and the snow is melting from the taller peaks on the islands… leaving the waterfalls powerful and domineering the otherwise humbling landscape. If you want to have the Faroe Islands to yourself and witness the breadth of a remote landscape, definitely book a trip there during the spring! You won’t regret it! Check out Megan’s Instagram as well. Azure waters bring lots of tourists in summer…so go in spring. 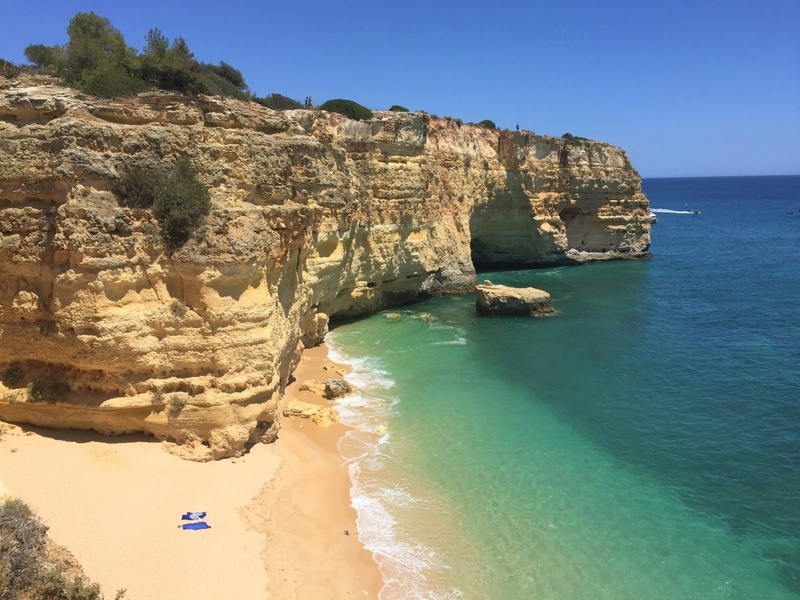 When parts of Europe are still thawing out from the winter, the Algarve is heating up for the best beach season of the year. The south of Portugal is primed for exploration of it’s winding coastline during the Spring. You can find a sandy, secluded beach to while away the hours, then stop off at a small plates restaurant for some bacalao (salted fish) and a big glass of wine. Lagos is one of the more popular port cities in southern Portugal, and the best beaches lie just outside town limits. Look for Praia do Carvalho, which is about 15 minutes away and requires a little hike to reach the beach. But the water is crystal clear and the surrounding cliffs are perfect for a little cliff-jump if feeling brave! Crowds aren’t too bad in the shoulder season of Spring ether, making this an ideal spot in Europe for this season of travel. Check out Eileen’s Instagram, too! Dubrovnik is overrun with tourists when the cruise boats pull up. Luckily in spring there’s not very many at all. 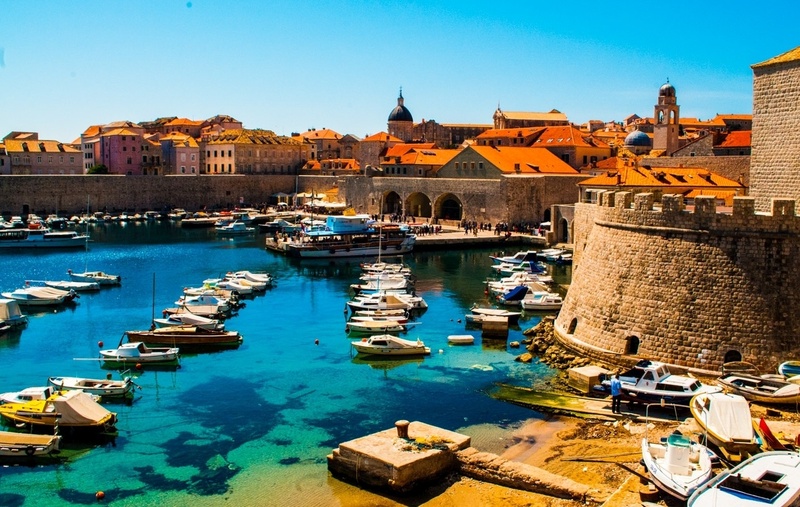 Two of the most popular destinations in the beautiful country of Croatia are Split and Dubrovnik. Meaning, of course, that millions of tourists will visit these destinations each year potentially creating problems for locals and visitors alike. This is just one of the reasons to visit in the early spring when the crowds are not so thick. Split and Dubrovnik in early spring are fabulous for more than just the quieter streets, however. First of all the weather is perfect for sightseeing with pleasant temperatures allowing for long walks around the harbors and cobbled streets and an abundance of clear, non-hazy, sunshiny skies. Nature is starting to bloom again and so are the locals, smiling as they sit in the many street cafes not yet irritated by the hoards and the heat to come. This is also a great time of year to visit the national parks of Krka and Plitvice and the many islands, some of which, like Hvar, will be overrun with partiers come summertime. 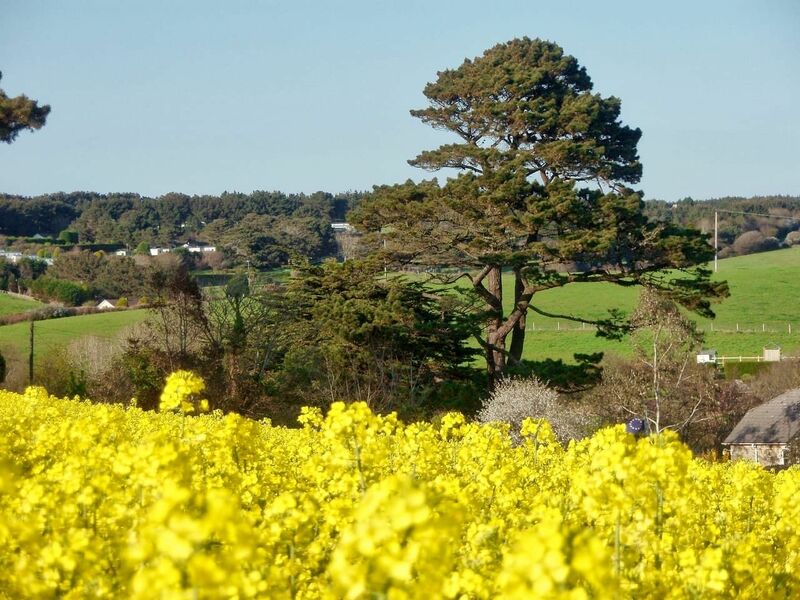 Yellow blooms announce spring in Cornwall. When you need a dose of pre-summer sunshine be sure to head to Cornwall in the southwest of England. Cornwall is one of the sunniest areas in the U.K with over of 1541 hours of sunshine per year. Temperatures blow away those winter cobwebs with a walk along the rugged coastal paths and breathe deeply the heady smell of the coconut gorse bushes mingled with salty fresh sea air. April and May are the best times to witness the carpet of blue bells that adorn the floors of Cornwall’s many shady woods. Cardinham Woods, near Bodmin, is a delight to the senses. Wander through the 650 acres of scenic woodland, teeming with new life. Observe as young shoots and newly hatched baby birds all vie for your attention. Make sure you visit one of Cornwall’s many idyllic beaches. Polly Joke beach, south of Newquay has its very own micro climate. Here, you will take the path to the secluded beach, strolling past hedgerows entwined with springtime honeysuckle. Look out for the family of kingfishers that nest in the adjoining woods and watch as the new lambs skip through the rolling fields that border the cliff top. Check out Liz’s Facebook page! 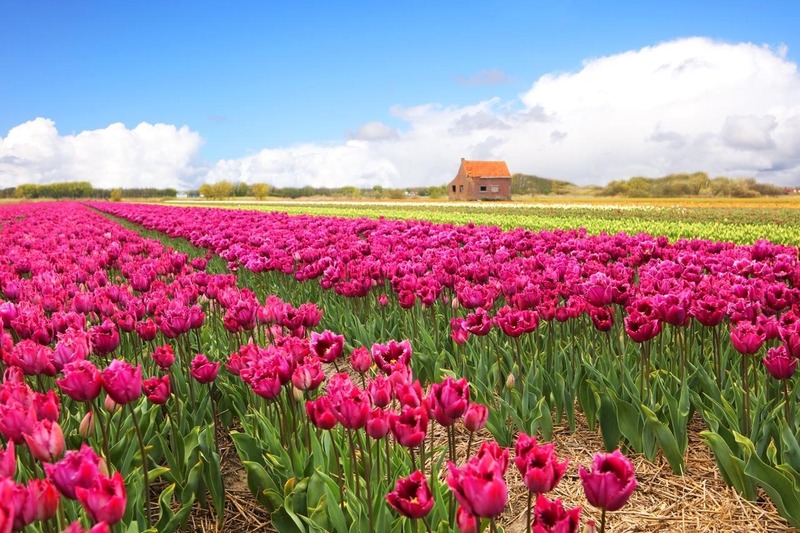 Bright colored tulips, flower festivals and parades…go to the Netherlands in spring. Dutch tulip fields are one of our absolute top places to visit in Europe in spring. Every April the Netherlands turn into a colourful flower carpet attracting many visitors from all over the world. While rainbow-carpeted tulip fields are the ultimate symbol of the Netherlands, Amsterdam itself is actually not the best place to see the flowers. Probably the best area to see tulip fields close to the city is the region around Lisse, some 30 km (20 miles) from Amsterdam. One of the best-known flower gardens in the world, Keukenhof, is also located here. The picturesque fairytale-like gardens are very popular, but well worth a visit despite the crowds. Just make sure to venture out and visit the bulb fields as well. It’s such a spectacular sight and no garden in the world could compare to the endless tulip fields! Here you can find more information and insider tips for visiting Keukenhof and the tulip fields in the Netherlands. Check out Jurga’s Instagram as well. Hyde Park – photo credit Pixabay. Spring is my favourite time of year to visit London; it’s when the weather starts warming up and the days begin to get longer, but going in Spring avoids the ridiculous crowds of the summer. The weather can range widely in London in the spring – it has been known to snow in April, yet some years have also seen temperatures top 25 degrees – but generally, you’ll be graced with temperatures between 10-20 degrees Celsius, a perfect climate to explore some of London’s best attractions. 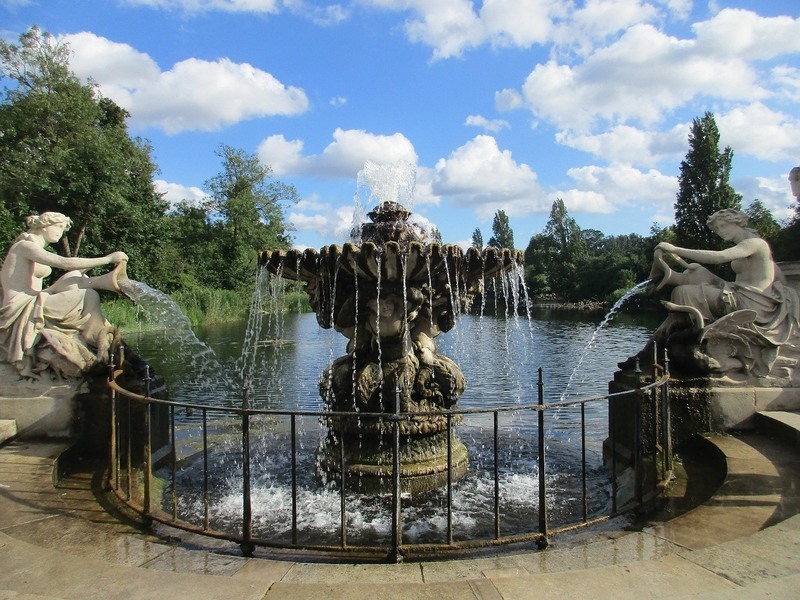 If it’s a pleasant spring day, there’s lots of outdoor attractions to enjoy in London. You could stroll around the beautiful Hyde Park or see St James’ Park’s beautiful daffodils, or see London from a different angle by taking a boat trip on the Thames. But fear not if it’s raining; there’s plenty of attractions including the National Gallery, the Natural History Museum and the London Dungeons. Check out Claire’s Facebook, too. Rome adorned in spring flowers. 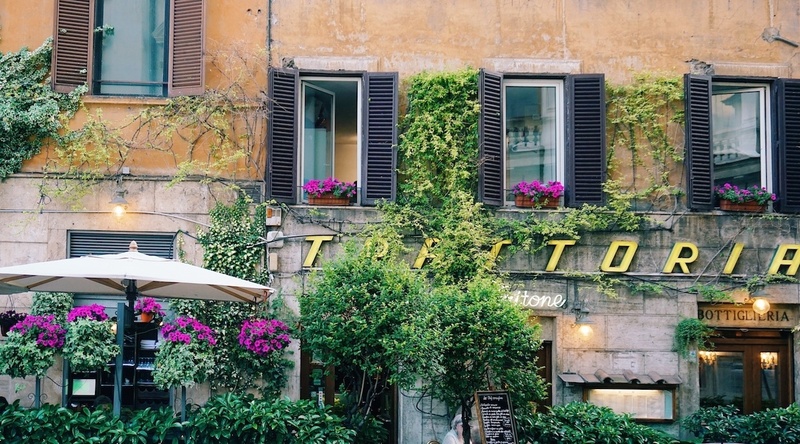 Early spring is the perfect time to visit Rome because you’ll be able to avoid the massive crowds of other tourists and find more affordable accommodations than you would in the summer! Rome is an incredible city, rich in history, full of beautiful streets and architecture – not to mention the food. My favorite pizza place in Rome is called Pizzarium Bonci (Via della Meloria, 43), if you’re on the hunt for the best! Their potato ricotta pizza is to die for. Slowly wandering the streets of Rome after a delicious meal, particularly in the off-season, will make you feel more like a local than a tourist! Visiting in the springtime will also ensure that you avoid the blazing hot summer temperatures, which can make exploring ten times more exhausting. Traveling in busy cities like Rome during the off-season is so much more enjoyable and relaxing than trying to battle the crowds in the height of summer. I could go on and on – there are so many reasons to visit Rome in the spring! 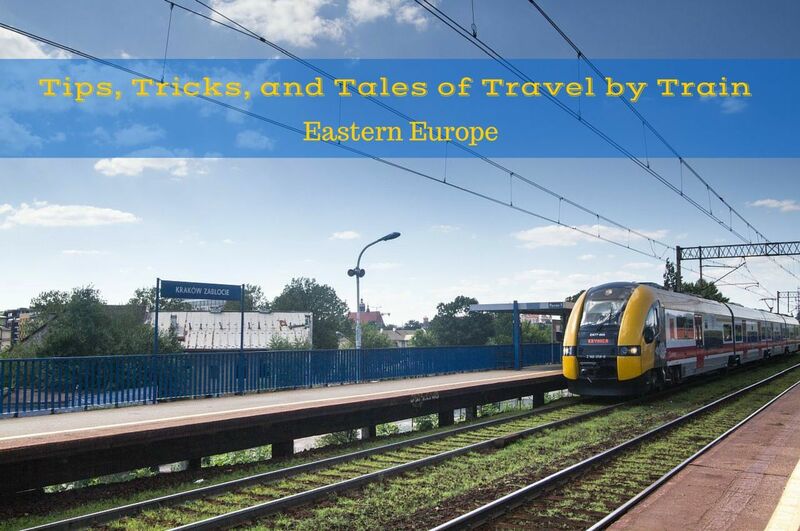 Additional Reading: 10 Eastern European Capitals That No One Thinks To Visit – So Go Now! Menorca, gets lots of sun in the springtime. Menorca, one of the Spanish Balearic islands, is a beautiful destination at any time of year but in springtime it’s doubly delicious. The Mediterranean sun is warming but not too hot and the island is blanketed in swathes of pretty flowers. Spring is my favourite time to visit. The sea around Menorca is intensely turquoise. Beaches are edged with white-sand and pine trees in the south or with volcanic red sand in the north. There are 216 km of coastline and more than 100 beaches so you may find you have a beach all to yourself. All that sea means that you’ll find plenty of fresh delicious seafood on offer. 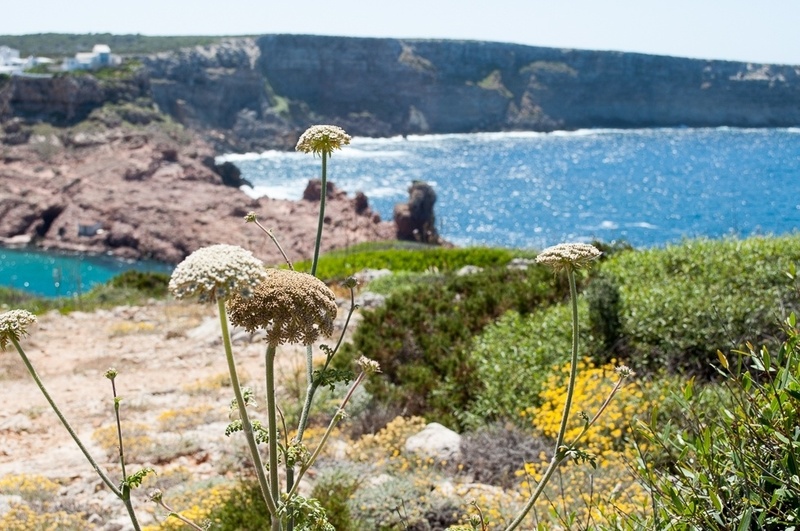 An ancient bridal path, the Camí de Cavalls, encircles the island’s coastline for 186km. It was originally used by the military to help guard the island and connects the Camina Cabise watchtowers. Following parts of the route on foot, bicycle or horseback is the perfect way to discover the island’s natural beauty and eco-systems. For culture vultures, Ciutadella, the old capital, has cobbled alleyways, street cafes and cathedrals. Ancient palaces line the main square and maze of streets lead off to hidden courtyard gardens, artisan shops and bars. Menorca really is a magical little island. Here is Suzanne’s Instagram; check it out! Sardinia really starts to warm up in spring. You can even go swimming. 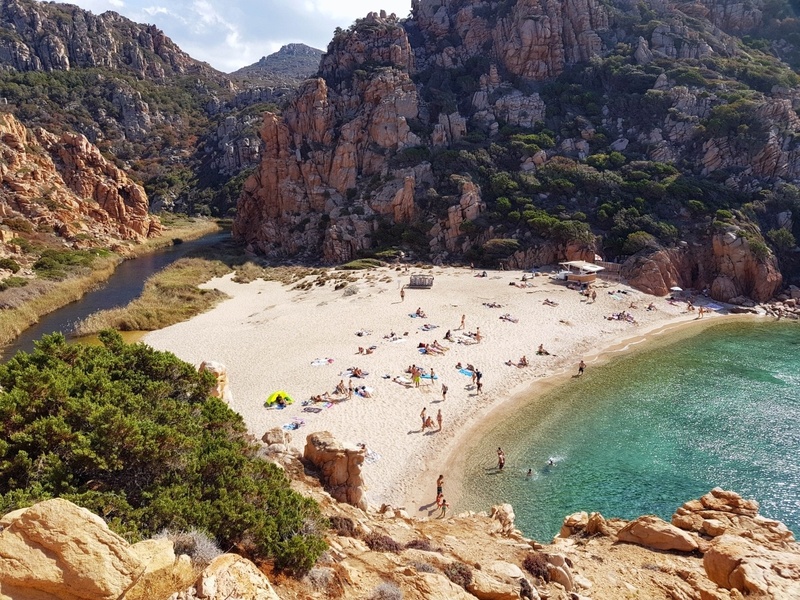 Did you know that the Italian island of Sardinia is one of the most popular holiday destinations for Italians? The fact that the people who invented the concept of ‘Il dolce far niente’ (blissful laziness) spend their vacations on Sardinia made me extremely curious about the island. And wow, this place did not disappoint. It’s a great destination for beach lovers. You will find many amazing beaches with clear blue water and white sand but also spectacular hidden bays with the most impressive rock formations. 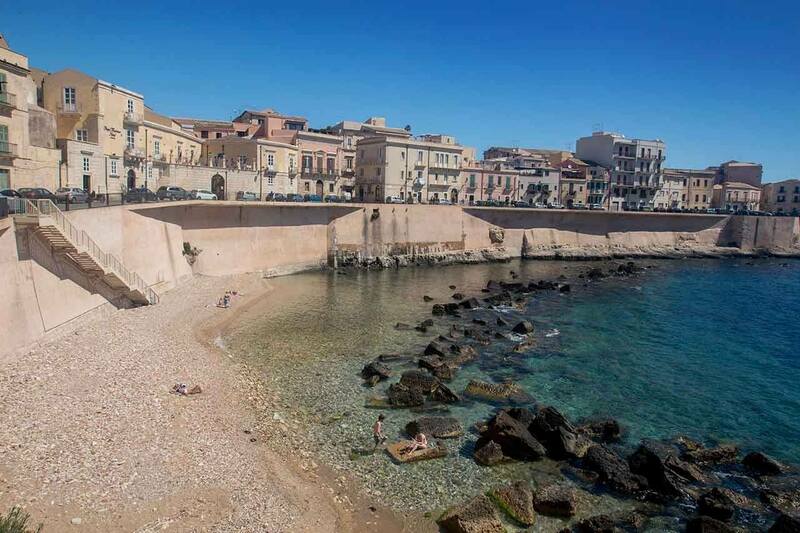 The city of Alghero, located on the northwest coast of the island, makes a great base to explore the rest of the island by car. It has a very charming old town with lots of wonderful Italian restaurants. Spring is definitely the best time of the year to visit Sardinia. Not only are flights cheaper, it’s also a lot less crowded. Here is Chantal’s Instagram; take a look! The windswept Pembrokeshire Coast…a great spring destination. The Pembrokeshire Coast in Wales is a wonderful place to visit at any time of year with its rugged cliffs, sandy beaches and gorgeous coastal walks. But for wildlife lovers, spring is the perfect time to visit. Spring in Wales is simply wonderful, the weather is almost behaving itself and many of the birds that left for winter start returning. The best place for bird lovers is a small island about 1 km off the mainland called Ramsey Island. This is an RSPB reserve and during early spring the breeding begins. You can expect to see many different birds including Cloughs, Lapwings, Peregrines and Guillemots, plus many other spring migrants visiting the island. The Pembrokeshire Coast is also well known for its beautiful walks and spring is a great time to enjoy the outdoors. You can enjoy leisurely day walks along the coast. Or if you are up for a challenge then try out the Pembrokeshire Coast long distance hike (186 miles/ 299 km). If you love nature and the outdoors then the Pembrokeshire Coast really is a perfect spring destination. One of the busiest attractions during high season, going to the baths in spring means very few bathers! Ready to discover Budapest? Spread across the river from Buda to Pest, the best way to view the city is by boat, specifically at sunset. The illuminated sights are captivating! To become better acquainted with Budapest, cross Pest to Buda via the The Széchenyi Chain Bridge, the first permanent bridge to connect both sides of the city via the Danube river. From the Buda Hill Funicular up to Castle Hill, marvel at the stunning views of the city from the 100 year old Fishermen’s Bastion. Nearby Neo-Gothic Matthias Church is considered one of the most beautiful churches in Budapest, as well as the most unique in Europe. Built in 1015 and inspired by orientalism, it’s colorful interior is breathtaking! The majestic Hungarian Parliament building is worth a guided tour. 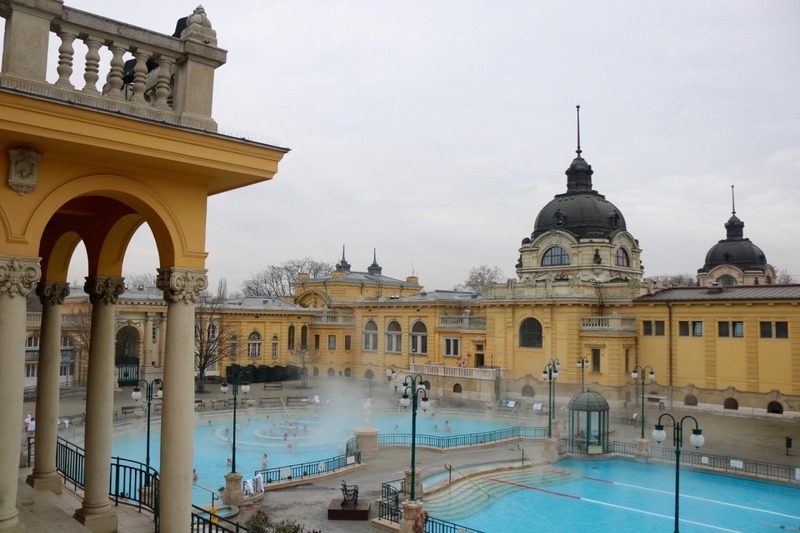 This “city of spas” is known for its thermal baths. Indoor and outdoor bath house Széchenyi and art noveau Gellért bath, opened in 1918, both merit a visit. Lastly, stop by New York Café, considered by many the “most beautiful coffee house in the world” and pick up a sweet taste of Budapest to go at Gerbeaud, opened in 1858. Check out Kasia’s Instagram as well. Den Haag is a surprise! Den Haag is a great city to visit in Spring – it’s charming and pretty, calm and vibrant. The third largest city in The Netherlands has a lot to offer and even though it’s very pricey, there are many things to do in Den Haag for free. In my opinion, those things are the best ones – you can enjoy a stroll to the beach (yes, Den Haag has a beach, how cool is that?! 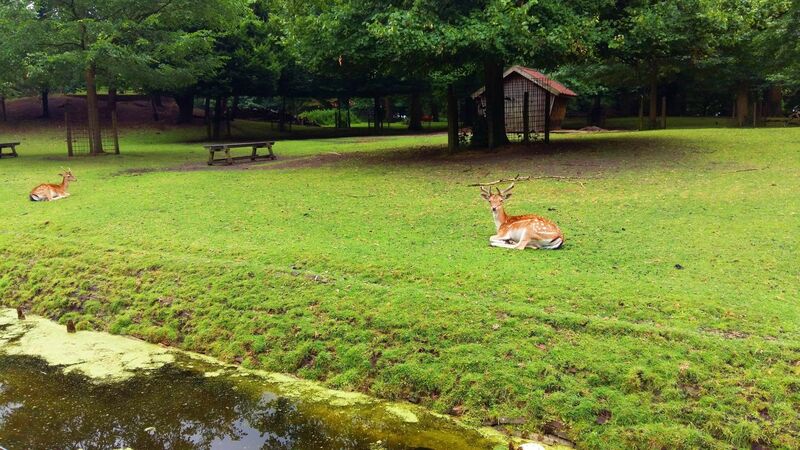 ), see deers in the center of the city or feed the ducks. You shouldn’t also miss going on a trip to Delft and checking Grote Markt, which is one of the favorite spots to the locals. One of the many great things about Sicily is that the weather is so much milder than in Northern Europe, and by March temperatures can already be up to 20°C, so by late April the weather is already beautiful and balmy. This is the perfect time to visit Ortigia, the tiny island that is the ancient core of the city of Siracusa, or Syracuse. In summer it can get too hot, with temperatures sometimes passing 40°C. Ortigia is a self-contained little world, surrounded by sea on three sides with a bridge connecting it to the mainland at one end. The setting on the Tyrrhenian Sea is gorgeous, with long walks along the lungomare perfect to catch the cooling sea breeze. Much of the island is a labyrinth of old streets, many lined with 18th century houses and churches, and narrow lanes filled with restaurant tables long into the evening. But the highlight of Ortigia is the Piazza del Duomo, the elegant square around the Baroque cathedral, which is one of the most beautiful in Europe. Northumberland is England’s most northerly county and an outstanding destination for springtime walks, particularly if you enjoy landscape photography. The area around Housesteads Fort, on Hadrian’s Wall, is a rugged, undulating landscape and falls within Northumberland National Park. It’s a great place to explore if you enjoy history as the fortress dates from Roman times and forms part of a transnational UNESCO World Heritage Site. During springtime you’re likely to see newly born lambs gambolling in the fields. The county has a long coastline and several beaches that are a pleasure to walk on. But be prepared, the wind on the coast can be strong, so ensure you have warm waterproof clothing. The beach at Alnmouth, close to Alnwick, is one of my favourite areas for moments of reflection. I’m also a fan of photography in post-industrial areas. Northumberland was once dotted with collieries and pit villages that mined coal. 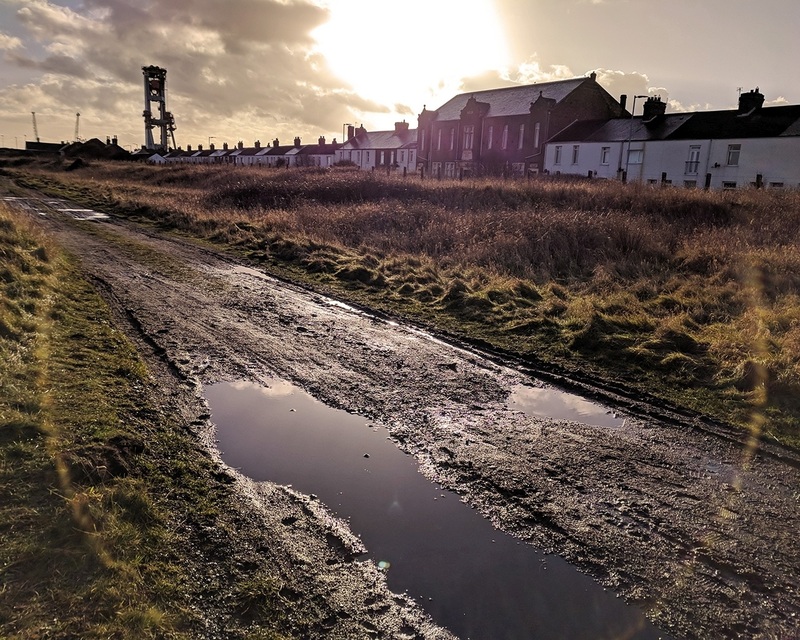 Strolling through them is a way of getting a sense of the region’s industrial heritage. Springtime light can be used to capture favourable images. I love to get out at this time of year with a camera. Check out Stuart’s Facebook as well. Beat the summer crowds and go to Provence before they even get there! 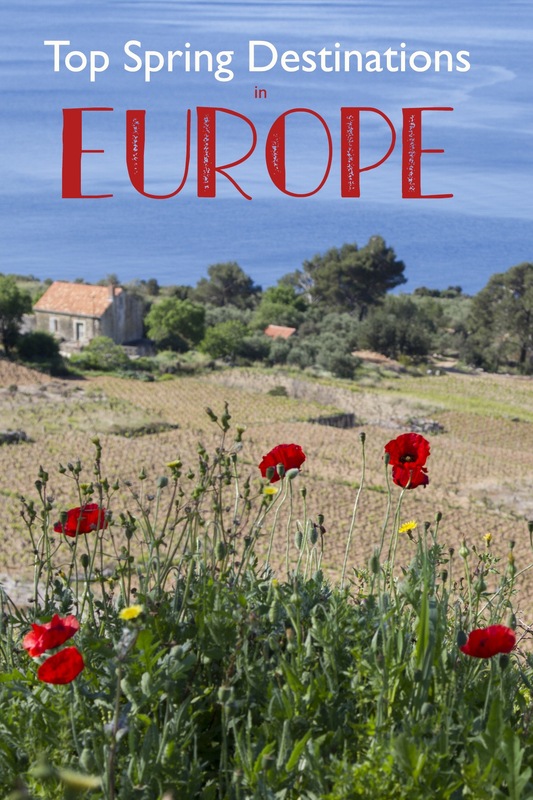 There’s never a bad time to visit Provence, France, but if I had to pick the best time it’d be springtime! From March through to May you’ll experience the region at its finest. The weather is marvellous in spring – still very warm to hot days – but unlike summer, it’s cool enough to sleep at night. There are far fewer tourists around, meaning you’ll always find a spot in the car park at the beach. And the untamed landscapes will be filled with wildflowers – from the scarlet red poppies to delicate white almond blossoms to the sunshine yellow fields of rapeseed. 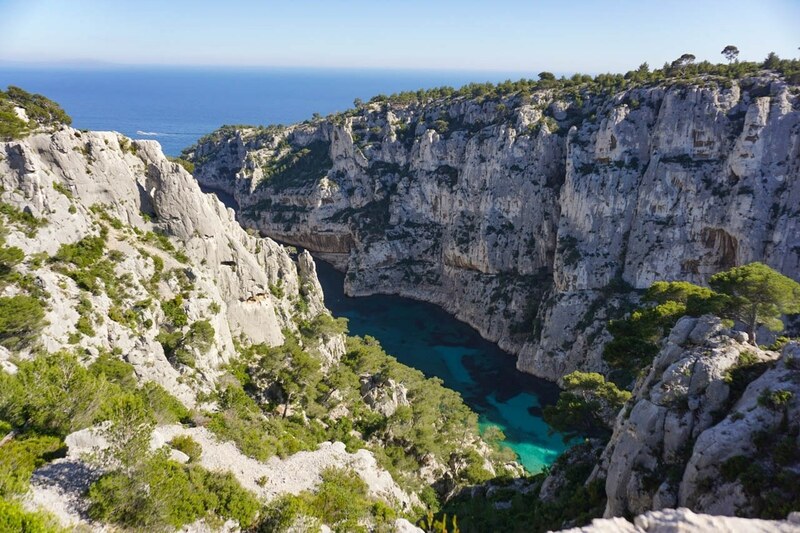 Famous Provence attractions such as the Calanques of Cassis that is closed for hiking during the peak summer months (due to the risk of wildfires) are open in the spring. It’s the best time to experience the region’s open-air markets and indulge in the endless array of fresh seasonal produce on display. And don’t forget to venture down to the Camargue – as it’s also the best time to see pink flamingoes in all their glory! Check out Nadine’s Facebook, too! 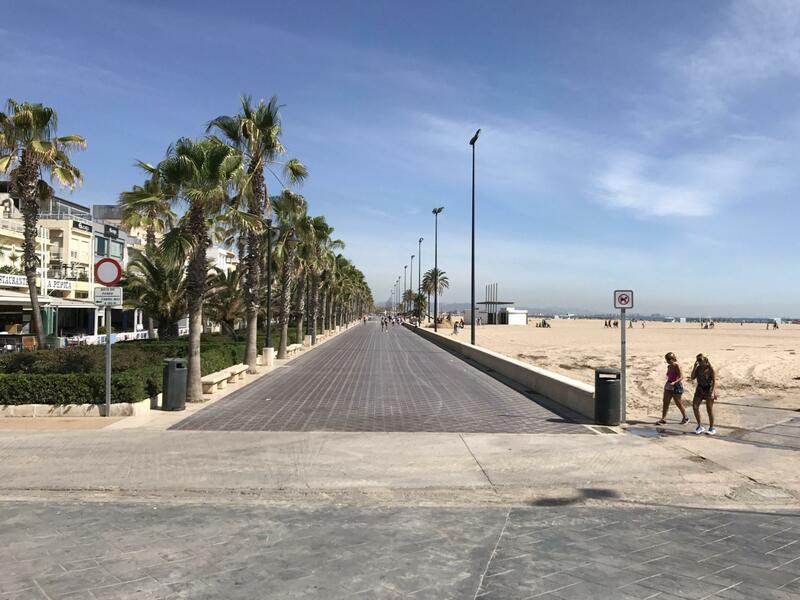 Warm and sunny, spring in Valencia means beaches almost entirely to yourself. If you are looking for citytrip with the following ingrediënts: sun, sea, good food and cultural activities, Valencia is the place to be. It’s just too hot in the summer. There are countless hotels in Valencia. From cheap to extremely expensive. We do not like staying in the center and as Valencia is at the sea, we chose a beach hotel. The best hotel is Las Arenas Balneario Resort, but hotel Neptuno is a good alternative. Valencia is home of the paella and has many good restaurants. I can highly recommend Panorama at the Marina. The best way to discover Valencia is by bike. There is not that much traffic in the city and it is flat, making for an easy ride. You can of course make a trip on your own but I suggest to book a guide. This way you get a good impression of the city in a short period of time. Plaza de la Reina, Silk fair (La Lonja), Mercado Central, L’Almoina, Palacio del Marques de Dos Aguas, Jardin del Turia, Ciutat de les Arts in les Ciencies (City of Arts and Sciences), The Palau de la Musica, The Palau de les Arts Reina Sofia, Ivam, Torres de Quart and the Marina are not to be missed. Check out Wendy’s Instagram as well! Ahh, Spring! What a fantastic time of the year full of new beginnings, comfortably warm weather and blue skies. I can’t think of a better way to celebrate a beautiful Spring in Europe than by visiting Madeira, a Portuguese archipelago, which is famed for its year-round Spring weather. In fact, many publications even go so far as to nickname Madeira as ‘The Island of Eternal Spring’! 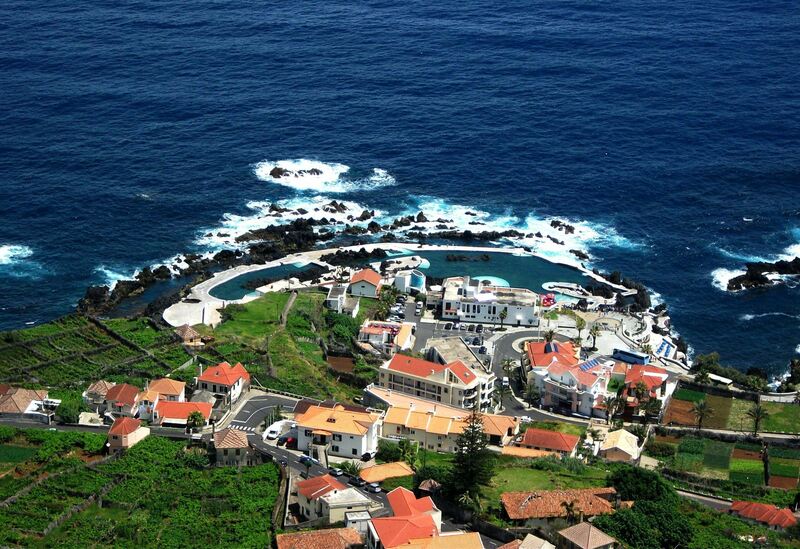 At a comfortable 16-25°C all year-round, Madeira is a fabulous place to introduce you to the upcoming Spring weather. And this is just a handful of the awesome things you can do in Madeira… you’ll just have to visit yourself to see what I mean and enjoy Madeira’s amazing Spring climate firsthand! Check out Justine’s Facebook, too! I think Jersey was our biggest travel surprise this year. We travelled to this little island in the Channel without really knowing what to expect… and we were blown away. 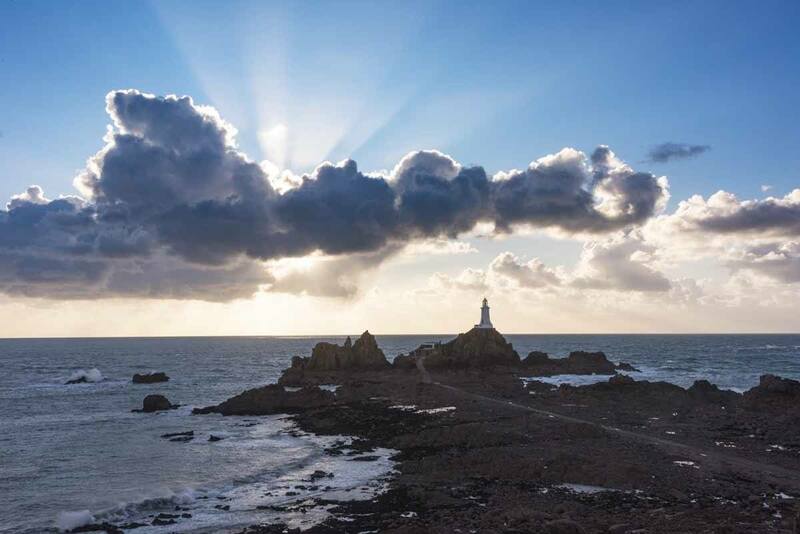 Jersey offers an incredible variety of sights and activities – and some of the best things to do in Jersey are nature-related, meaning that spring is a great time to visit! You can hike around the island, or even take walks in the area between high and low tide – Jersey has some of the most dramatic tides in the world, with a difference of up to two miles on where the edge of the water is between high and low tides. Visiting in spring also gives you the opportunity of seeing the Samares Manor gardens at their best, as well as seeing lots of wildflowers around the island. We’re actually planning another spring trip to Jersey ourselves! Bilbao is an underrated destination in Spain, but it’s one you should definitely consider visiting during the spring! The city has undergone a cultural renaissance during recent times. The main exponent is the Guggenheim Museum, which is a mesmerizing and confusing building. It sits by the Nervion River, and is a must visit, to see its beauty up close. A trip up Mt Artxanda is a must too, to get a fantastic view over the city. You take a funicular up to the top, which only costs a few euros. From here you can look down on Bilbao and see how it’s surrounded by rolling green hills. Bilbao is part of the Basque Country, which is famous for its cuisine, particulatly Pinxtos! They are pieces of breads with different delicacies on them, such as fish, meat and vegeatbles. Most of the bars in the city serve them. You can’t leave the city without sampling a few Pintxos as they are delicious! 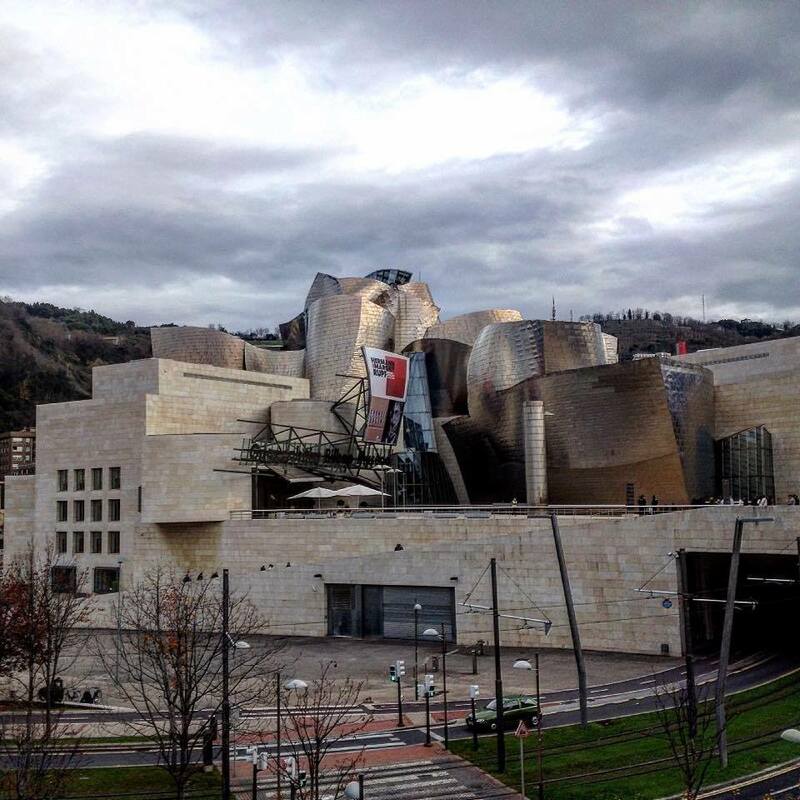 Bilbao is a great alternative to visiting the more well-known parts of Spain during the Spring. You certainly won’t be disappointed! Check out Tom’s Instagram, too. A lighthouse overlooks a beach with only a few people on it in southern Spain. Over 300 sunny days per year is reason enough to visit Málaga, but it’s during Spring that this beautiful Spanish town becomes the perfect European getaway. The ancient ruins become colored with blooming flowers, the restaurants set their tables outside and the weather gets warmer and warmer. 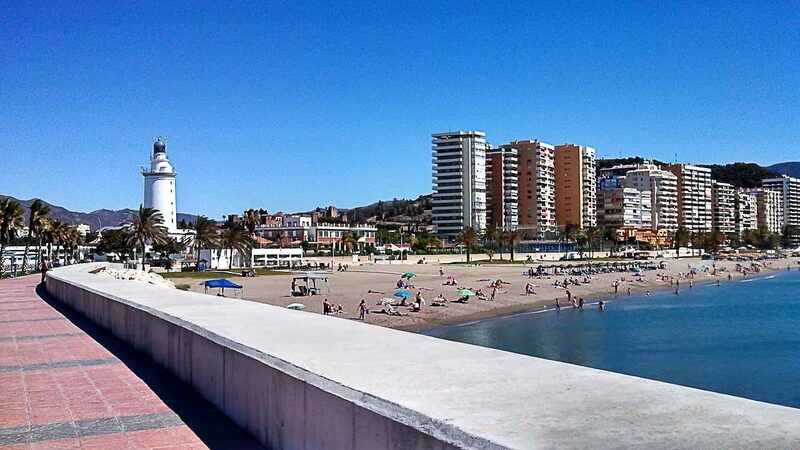 But better than this, Málaga in Spring is not packed with tourists. This the perfect time to enjoy Málaga’s nature, history, arts and wine, not to mention the grilled sardines served with sangria by the beach. Discover the history of Málaga while getting lost in the Alcazaba Moorish Fortress and in the Gibralfaro Castle. Visit the Picasso Museum and Casa Natal to learn about the life of this Malagueño artist. Between one attraction and another try the Málaga sweet wine in a lovely café in the old town. And don’t forget to spend at least one day by the beach, Malagueta Beach is the place to go for sunset drinks and a refreshing swim. The list of things to do in Málaga is big and will keep you busy for at least three or four days. Check out Natalie’s Instagram as well. Sintra, Portugal is a picturesque city located 45 minutes north of Lisbon. It is the perfect spring destination as the flowers are in full bloom, the gardens are perfectly manicured, and the historic sites are not as crowded with tourists. We suggest taking the train to the city center, as parking can be challenging on the narrow streets and small parking lots. Once you arrive, rent bikes or a small electric car if you want to make the most of your visit. If not, you will need to take the city bus to each area and the bus can take a while. You can easily spend the day driving up and down the coast enjoying the beaches and views. Or take a few hours to explore the gardens and trails of Quinta da Regaleira. The colorful Pena Palace has a vast garden surrounding the area and you can bring your lunch and picnic at the base of the castle. 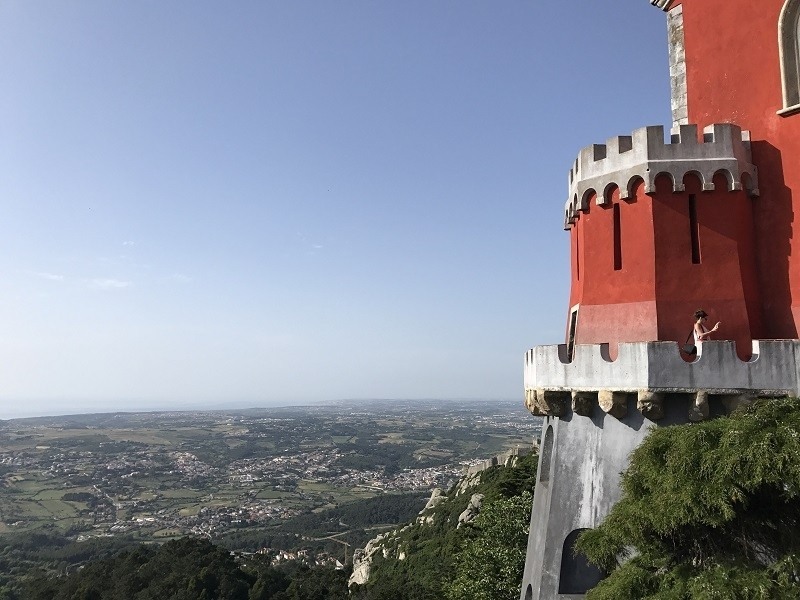 We can’t imagine a trip to Portugal without spending a romantic day in Sintra, it is a not to miss! Check out Gina and Zeke’s Facebook, too. Spring is a glorious time to visit Tbilisi, the capital of the Republic of Georgia. Tbilisi is located on the ancient Silk Road at the confluence of Europe and Asia. The weather is pleasant at this time of year, not too hot and not too cold (although May is the wettest month, so pack your brollies if you’re travelling then). The Old Town of Tbilisi is a fascinating blend of the cultures of Georgia’s conquerors (and there have been a lot!). You’ll find influences on the architecture and cuisine from Persia, China, Russia, Mongolia AND Europe here. It somehow melds together in a glorious way that brings the best of all worlds. 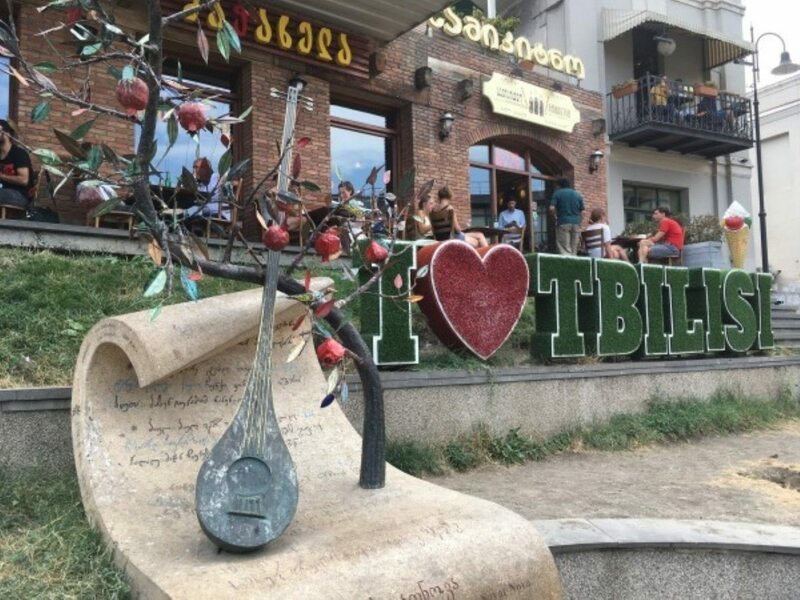 Tbilisi is an easy city to explore on foot and Spring with mild weather is a great time to visit. You’ll find Georgia’s National Museum, the 5th-century Narikala fortress overlooking the old town, Georgia’s oldest church alongside modern architecture and a selection of hot baths and saunas. Add to that a fabulous selection of food and drink from the birthplace of wine and you’ll leave with a desire to return in another season. 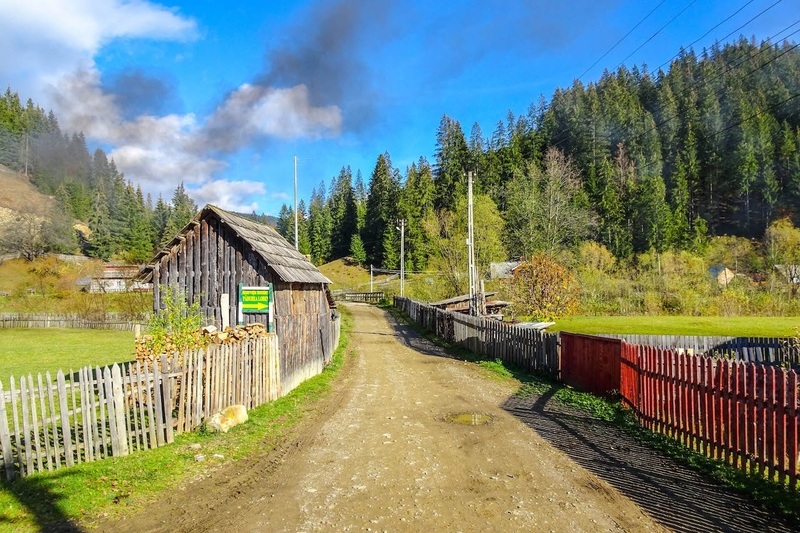 The region of Transylvania in Romania is a great place to visit in spring, thanks to its beautiful nature, colorful towns, and the mild temperatures. Make sure to visit Sibiu, a picturesque city with its cobblestone streets and old buildings. The city Brasov is the perfect starting point to visit Bran’s castle, also known as the famous Dracula’s castle, as well as the Rasnov Citadel just outside of the city. If you’re looking for a unique picture opportunity to impress your friends at home, make a stop at the Castlelul de Lut – the Clay Castle which is built into a hotel at the moment. Besides its scenic landscape, Transylvania offers its visitors a good tourist infrastructure, accommodation opportunities, and friendly and open locals. I also felt very safe traveling around Transylvania and most people even spoke at least some basic English. Romania, in general, is very cheap, making it a perfect destination for travelers with every budget. Put Transylvania on your bucket list for next spring, you won’t regret it! 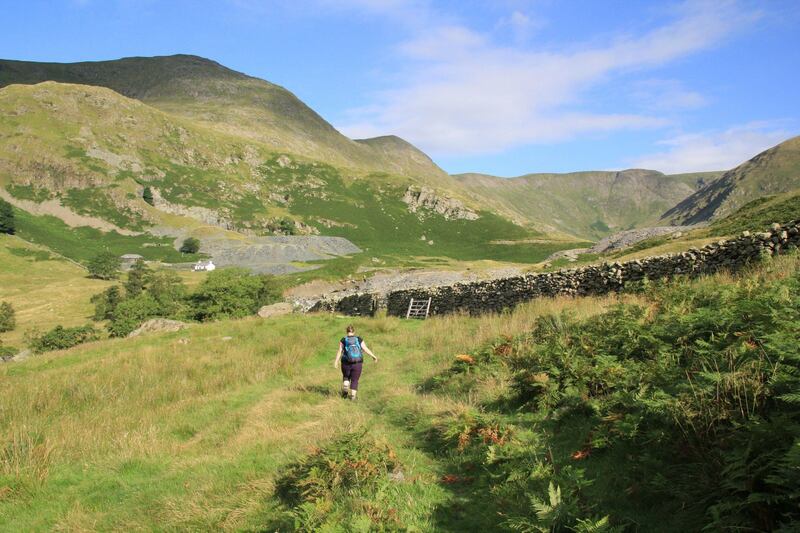 Go hiking and have the Lake District all to yourself in spring. The Lake District is, in my opinion, the most beautiful national park in all of the UK. With its quaint rural villages, green valleys and lofty mountain peaks, it’s known as one of the world’s best adventure playgrounds. Sure it does get a bit cold and wet during winter, and busy in the summer with visitors from all over the globe making a pilgrimage to the birth place of Beatrix Potter or to bag a few peaks. Yet come in the Spring and you’ll have the best experience of the year. Snowdrops and daffodils (yes, Mr Wordsworth liked them too) line the leafy lanes, lambs cavort playfully in the fields and even the sun makes an appearance now and then. You won’t be jostling in queues to get your hands on the famous Grasmere gingerbread or Cartmel sticky toffee pudding, and you might even not need a jumper on the warmer days. It’s the perfect season for a spot of paddling on the lakes, researching cute tea shops, or even going wild camping up in the fells, where you really will have the place to yourself. Spring is undoubtedly the best time to come to the Lake District, and I should know, I’m fortunate enough to live here. Check out Heather’s Facebook as well. Wow! Isn’t spring the perfect time to visit Europe? I know we were supposed to be helping you decide where to go, but with all of these fantastic suggestions, we may just have made your decision harder. Oops! Pin Where to Go in Spring in Europe for later! 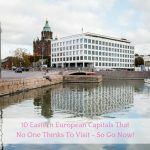 10 Eastern European Capitals That No One Thinks To Visit – So Go Now! You forgot Ireland, the best place of all! Always beautiful, Ireland is even greener in Springtime and flowers bloom everywhere! Libbie, You are right of course! There are still plenty of amazing places we didn’t list. Hi Corinne Vail, your informative post reveals your passion for travel and inner voice, how you experience a certain place.Its truly inspiring. Thanks for sharing the list of places. Thanks Jessica…it is our passion.